Who better to learn the best parts of a particular neighborhood or arrondissement than someone who lives there? In my Paris Profiles series I seek out local residents, either ex-pats or natives to share their favorite spots in the place they truly call home. And although I met the writer behind World in Paris on Facebook, I have grown to love the blog like it’s my new best friend. 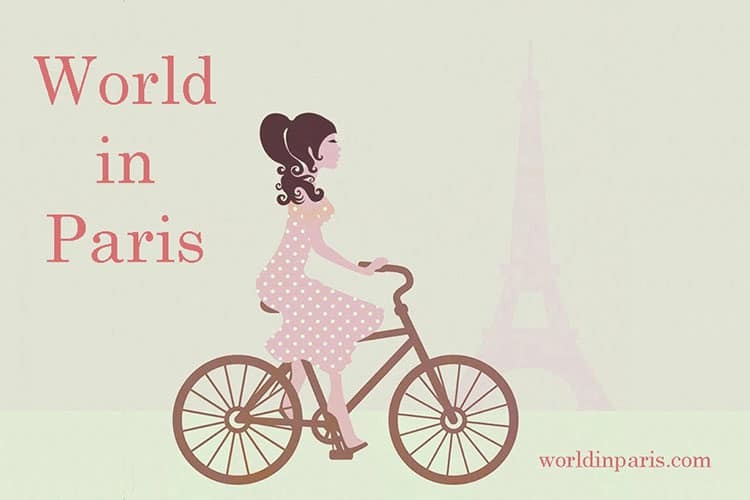 So today I have World in Paris sharing all the good stuff about the 19th arrondissement . Let’s Discover World in Paris’s 19th Arrondissement. Favorite thing about your neighborhood, the 19th arrondissement. Buttes Chaumont Park. I love this park. It is the only rolling park in Paris and it always full of life. I always go to Buttes Chaumont to run and there are so many activities going on around the park at the same time that it is like watching 100 different movies! Least favorite thing about the 19th arrondissement. Place des Fêtes. I could never understand how a square with such a beautiful name can be so ugly! What differentiates the 19eme from all the other parts of the city? There are no tourists so it is only about local life. Buttes Chaumont and the Canal de la Villette. Canal de la Villette is also a great spot for local life in Paris and people watching. We don’t have friends living in Paris 19 so when we want to dine out with other people we tend to meet in other central districts, more convenient for everybody. When we are too lazy to go far, we go to Aux Petits Joueurs (59 rue Mouzaïa Paris 19), a typical Parisian bistro with live music. We like its young atmosphere, the food is good (French cuisine) plus the owner knows us and despite he is very busy he always has kind words for us. Le Canal de la Villette. If it is summer time we like to organize a night picnic by the canal’s banks. It is sooo Parisian plus our visitors always love it! We also have a walk around rue Mouzaïa, with its winding alleys and little houses. They always find very curious to have this “piece of the countryside” in Paris! > A l’Endroit (9, rue du Tunnel) jazzy bistro. > Hôtel Restaurant Au Boeuf Couronné (188, avenue Jean Jaurès) brasserie for steak lovers. > Cantine Vagabonde (11 Rue d’Aubervilliers) fantastic lunch spot with an organic (bio) menu. > La Petite Halle (211 Avenue Jean Jaurès) wood-fired pizza and other small dishes. > L’Iliade (59 Rue de Belleville) Mediterranean cuisine. > Le Laumière (4 Rue Petit) seafood restaurant. > Le Napoleon III (1 Place Armand Carrel) a romantic brasserie. > Les bancs publics (2 Rue de Nantes) quaint brasserie. > Mensae (23 Rue Melingue) amazing French comfort food. > Quedubon (22 rue du Plateau) bistro with an eclectic menu. > Pavillon du Lac (Entrée Place Armand Carrel) fine-dining restaurant in the Parc des Buttes Chaumont. > Tréma (189 Rue de Crimée) trendy fresh, modern French cuisine. > 25 Degrés Est (10 Place de la Bataille de Stalingrad) rooftop terrace! > Le BarOurcq (68 Quai de la Loire) beautiful turquoise bar on the canal. > La Péniche Antipode (Face au, 55 Quai de la Seine) trendy neighborhood bar. > La Rotonde (6-8 Place de la Bataille de Stalingrad) part og the Grand Marché that houses other eating spots. > Paname Brewing Company (41 bis Quai de la Loire) micro-brewery. > Le Rosa Bonheur (2 Avenue de la Cascade) mentioned by World in Paris. 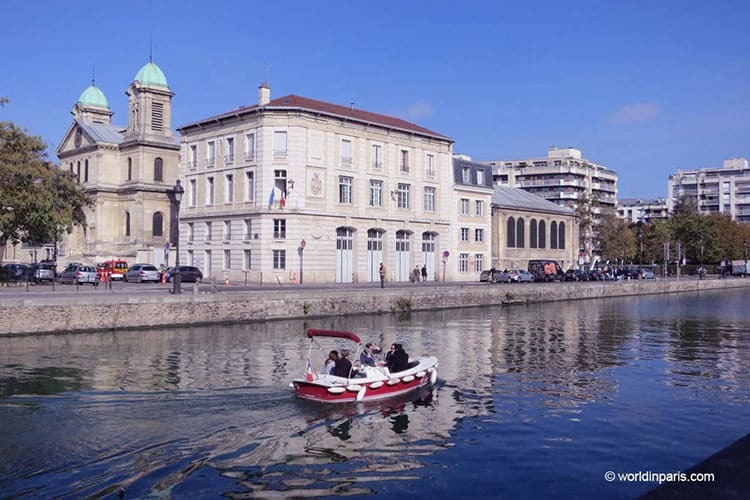 > Parc de la Villette (211 Avenue Jean Jaurès) is a very large park with lots of activities and a beautiful lake. > Cité des Sciences et de l’Industrie (30 Avenue Corentin Cariou) is the biggest science museum in Europe. > Cent Quatre (5 Rue Curial) art and culture center. > Cité de la Musique (221 Avenue Jean-Jaurès) A museum dedicated to the culture of music. 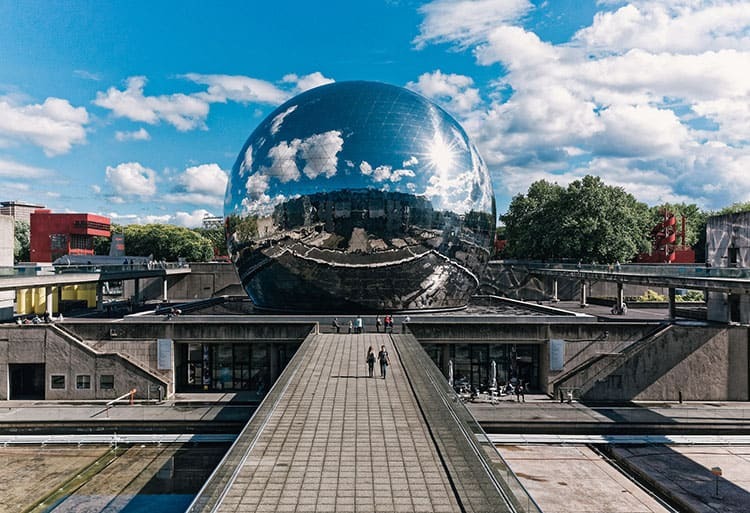 > La Géode (26 Avenue Corentin Cariou) a venue for film or a concert that looks like a giant mirror ball! > Vill’Up (30 Avenue Corentin Cariou) shopping center with boutiques and restaurants. > Tom Greyhound (19 Rue de Saintong) exported from Korea, this is a cool minimalist decor and designer clothing boutique. > Marché Jean-Jaurès (Avenue Jean-Jaurès)farmer’s market, Tuesday and Thursday from 7:00 am to 2:30 pm and Sunday from 7:00 am to 3:00 pm. > Marché Place des Fêtes (Place des Fêtes), farmer’s market, Tuesdays and Fridays from 7:00 am to 2:30 pm and Sundays from 7:00 am to 3:00 pm. > Marché Villette (#27-41 Boulevard de la Villette) farmer’s market, Wednesdays 7:00 am to 2:30 pm and Saturday 7:00 am to 3:00 pm. > Marché Porte Brunet (Avenue de la Porte Brunet) farmer’s market, Wednesday from 7:00 am to 2:30 pm and Saturdays from 7:00 am to 3:00 pm. > Marché Joinville (Place de Joinville) farmer’s market, Thursday from 7:00 am to 2:30 pm and Sunday from 7:00 am to 3:00 pm. > Hôtel Restaurant Au Boeuf Couronné (188, avenue Jean Jaurès) fabulous boutique hotel with a great restaurant. > Hôtel Tréma (189 Rue de Crimée) small hotel with small rooms, but the decor is lovely and the owners are very friendly. > Hôtel de la Pedrix Rouge (5 rue Lassus) residential hotel across from a beautiful cathedral. 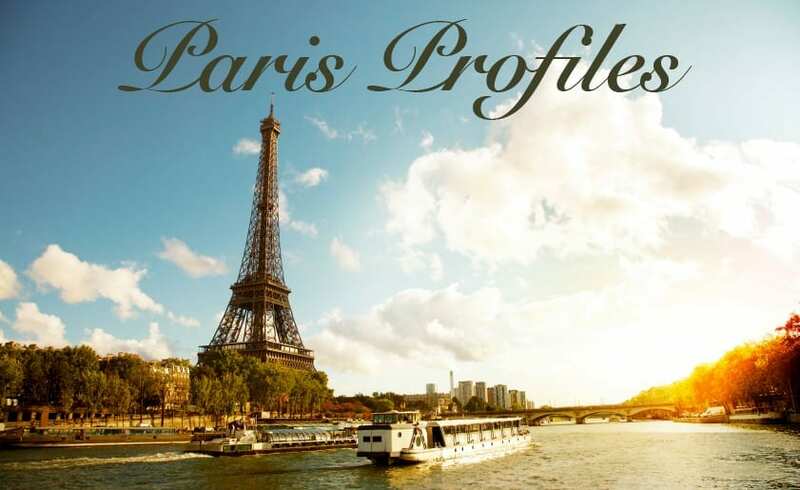 You can connect with World in Paris on Facebook, Twitter, Instagram or Pinterest, and of course on their blog, including their own Paris arrondissement guide and yummy things to eat in Paris. How about you? 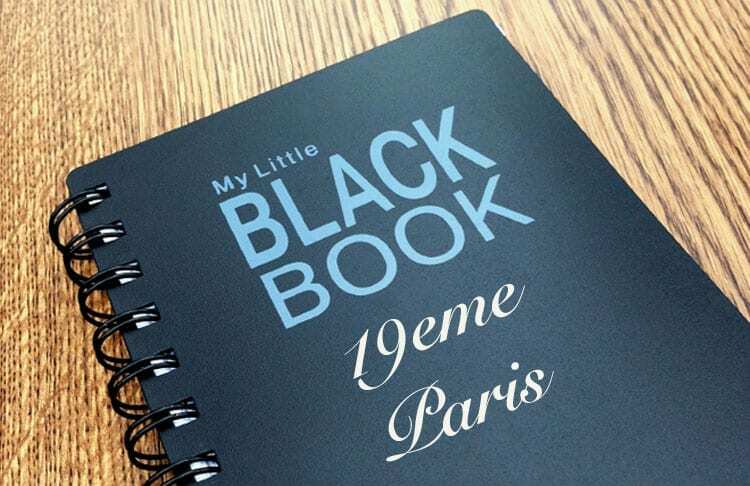 Do you have any 19th arrondissement additions? Have you been to this area of Paris? Did you find this post helpful for a future trip? So many are in love with Paris. I have never gone but I am thinking about putting it on my list of places to some day see. Sounds like this is a great place to visit. This does sound like a really cool part of Paris! I think it would be nice to reserve some time to try out a few of the local restaurants. I havent been to Paris since high school but I realy want to go back. SO many amazing things to do and see! Wow! When visiting new places, I love to go off the beaten track and far away from touristy areas. Buttes Chaumont and the Canal de la Villette look like the perfect Paris town where you can truly soak in the culture of the Parisians. I hope to visit soon! Paris is extremely high on my travel bucket list and this post seems to be filled with awesome information on the 19th Arrondissement. I will be bookmarking it to have on hand when we make the trip! Cool place, never been to paris before, looks like lots to see. My family and I love exploring parks when we travel. 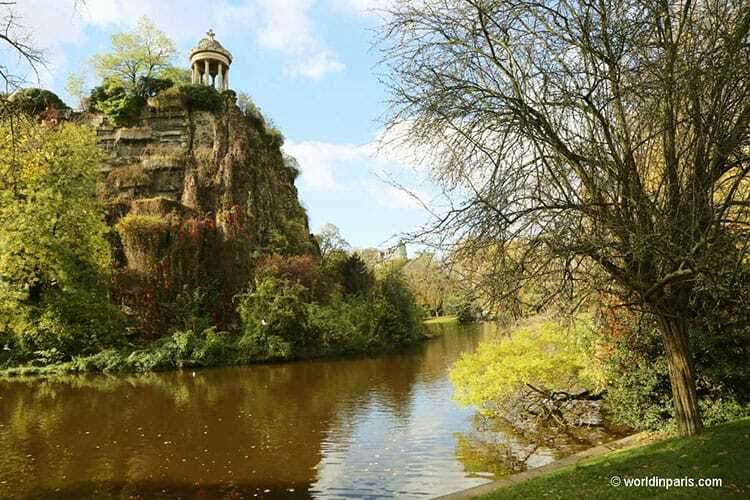 We would totally love to check out the Buttes Chaumont Park someday! Oh, I’d really like to try the microbrewery. I didn’t know they did that kind of thing in Paris. I visited France years ago but we never made it to Paris. It really is such a beautiful and charming place to visit. It’s always good to learn about a place from those who live there. Someday I hope to make it to Paris — doubtful, but who knows? For many people “Paris” is a dream country. I have never gone there but I wish someday I will visit to PARIS. 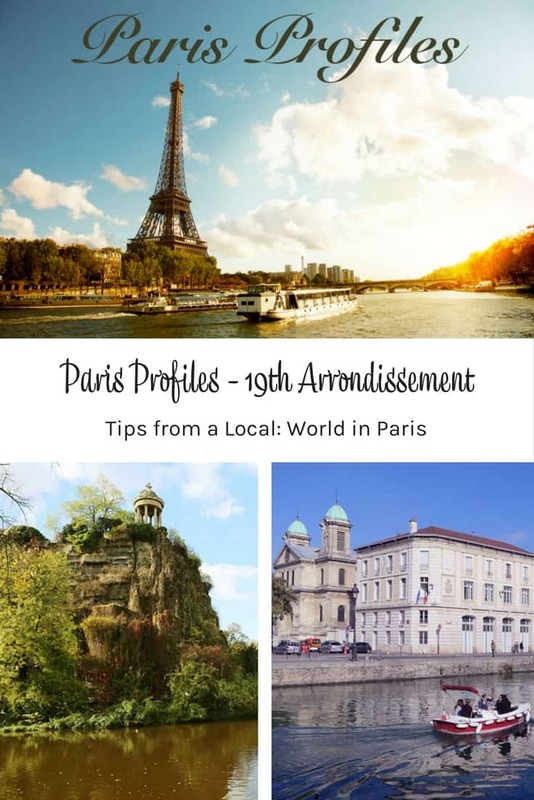 The 19th Arrondissement sounds like the kind of place I like to go on a vacation – where the locals are, and not much of tourists. It does sound so fun. Maybe some day I will get to see Paris. Lucky you!